Great app! Wish this existed 10 years ago! This app works really well, I never run into issues with it. Well worth the money for the subscription. I love using Appcompanist in the voice studio! Appcompanist is incredibly useful and user-friendly! 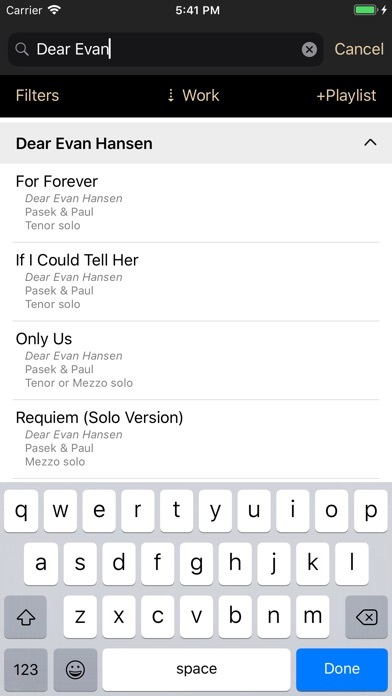 Every feature is conceived with the singer and teacher in mind—including variable tempo, key, fermata, melody slider, and new tools to cut and edit excerpts. 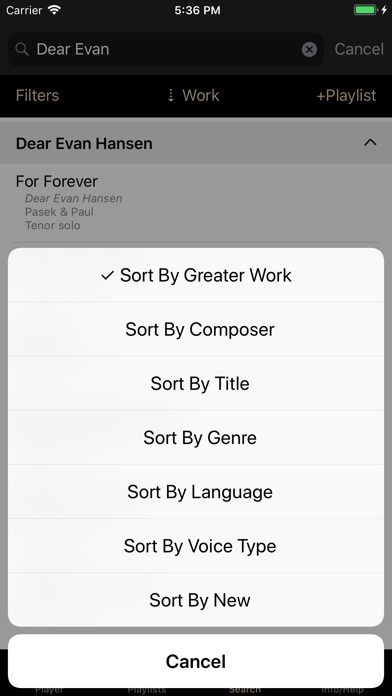 All of these fancy features would be pointless if there was not an extensive repertoire library with thousands of classical and music theater songs played by professional collaborative pianists. 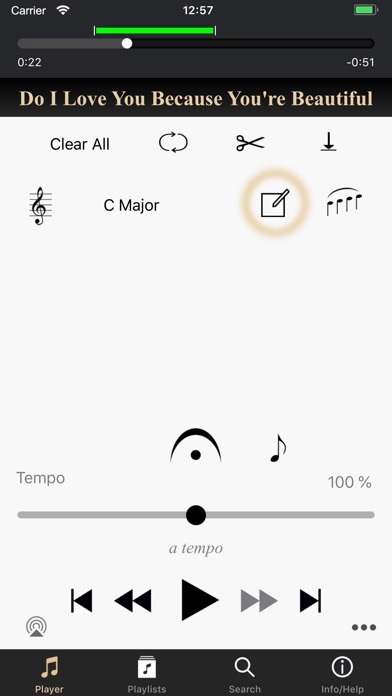 As a voice teacher and singer, I use Appcompanist daily in the studio. Much of the standard classical repertoire and standard-to-new musical theatre rep is available. It is especially helpful for contemporary music theater songs like “Waving Through A Window”. I’m a decent pianist, but I can’t play that! In preparing for my own performances, I was delighted to find the entire Bernstein song cycle, “I Hate Music!”. I’ve sung it before and am relearning it for a Bernstein at 100 concert. It’s very tricky! 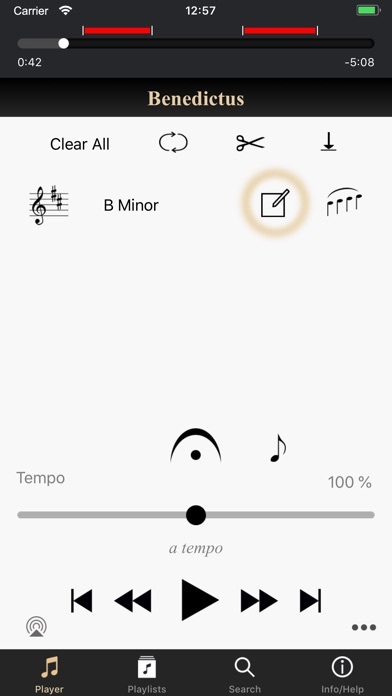 By the time I rehearse with my live accompanist, I will have solidly prepared thanks to Appcompanist. Whatever sorcerery created this digital magic, I thank you! 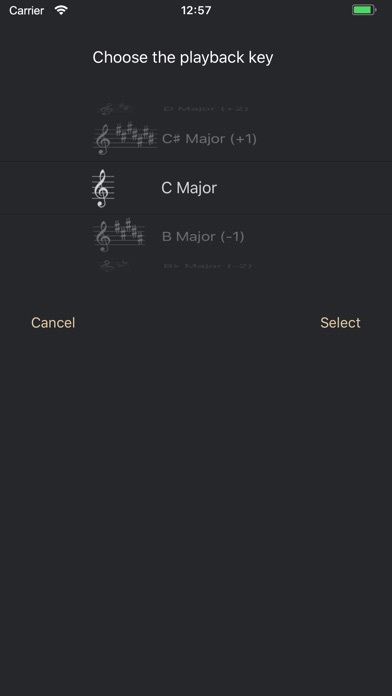 As a music educator who isn’t the best at piano, this app has been a lifesaver! Not only do I use it for myself, but I use it for my students who also love it! This app is by far the best app for classical singers as well as musical theater singers. I have never seen an app or website or anything like this. It’s truly amazing. It has all the literature, the arias, the oratorio stuff. Everything from The Vagabond to Deh Viene alla Finestra! Wonderful app. 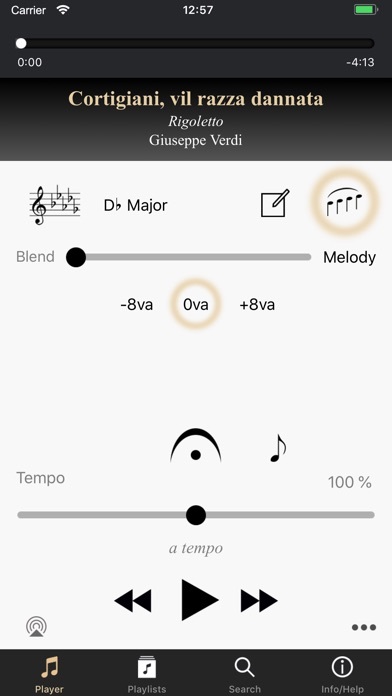 Appcompanist is a great practicing tool for young singers like myself, and for more seasoned ones as well. I am very happy with the app thus so far. Also I requested a song, and they did their best to put it up as fast as they could. The subscription price may seem expensive, but when you consider what you would pay a rehearsal accompanist who could instantly transpose to any key, play the melody along with the full accompaniment anywhere between half and double time, you’re actually saving money or, at the very least, adding considerable value for learning and reviewing music. Thanks for a great app! I love using this app. It is like I have an accompanist I can carry around in my pocket and use at any time. I use it to sing through my favorite songs I already know, and find new songs with the extensive repertoire that I can easily sift through. Now there is no excuse for not practicing, and learning new rep has never been easier. Thank you for making this great app! I bought this app at the recommendation of my voice teacher. This is a wonderful way to learn new music - and with accompaniment. I love the ability to change key - an excellent way to determine the best key for my voice. They are VERY accommodating. I requested they add 9 songs by Charles Ives that were not yet available. They replied that they would fulfill my request as soon as possible. Two weeks later all 9 were had been added! !